Ardo UK operates from the UK offices in Charing, near Ashford in Kent. With a world-class, BRC-accredited packing and cold storage facility and the abilities of the manufacturing sites across the group, the company is able to fulfil a surprising number of customer requirements. 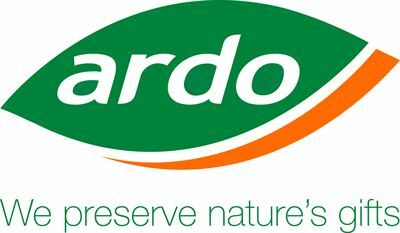 Ardo UK is part of the wider Ardo Group, who started crop production on a small family farm in Ardooie, Belgium, back in 1960. In 1977 the same family opened their first freezing facility under the name Ardovries, and the company was born. The name changed in 2000 to Ardo and the same family still owns and runs the company that put those first seeds in the ground over 50 years ago. Today Ardo exports to 56 countries, has 14 different manufacturing and packing sites across eight countries, and operates over 25 local sales offices. Ardo UK's story begins in the 1970s with the founding of Shearway Foods by the Martin family. The packing of vegetables continued at their sites in Kent for 30 years under the Shearway brand until the Ardo group purchased the company from the family in 1994. With a renewed focus on their core values, Shearway adopted the Ardo name in 2004 and are now one of the leading suppliers in the industry. Jonathan Martin from the original founding family is Procurement Director at Ardo UK. Today Ardo global and Ardo UK are proud to be one of the world’s leading suppliers in quality frozen fruit, vegetables and carbohydrates at a competitive price. Ardo is also committed to improving the environment in which they operate, from the people to the products and the places in which they operate. This is not environmental marketing speak, but in fact gives both competitive advantage to the business and efficiency and cost savings across the businesses - which is beneficial to all.